Your search for a quality retractable door ends here. 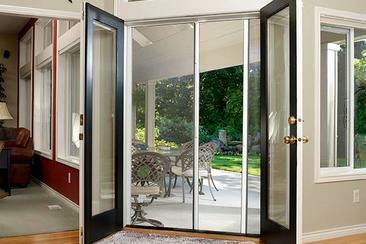 Our retractable screen door rides on a top and bottom track system that uses low friction technology. The sturdy pull bar features a cast metal handle and utilizes a full length magnetic latching system. The Milano retractables come in single door and double door kits which make it ideal for French door applications and can be interior mounting for out swing doors.